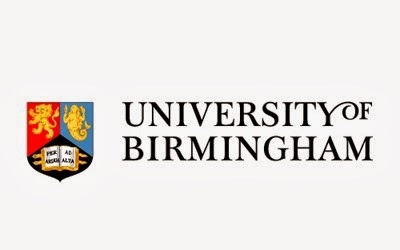 The University of Birmingham is pleased to announce the award of the University of Birmingham / UKEAS Nigeria Outstanding Achievement Scholarships for Nigerian domiciled students applying for entry to an undergraduate programme at the University starting September 2018. These are joint awards with the University's local representatives who are listed here in alphabetical order: Bridge House Counselling, SI-UK (‘Study In-UK’), and UKEAS. The scholarships, worth £5000 each, will be awarded to the highest performing students starting their University of Birmingham programme in the subject areas of Arts and Law, Life and Environmental Sciences, AND Social Sciences in 2018/19 academic year. Have received an offer and selected the University of Birmingham as their firm choice for a full time undergraduate programme starting September 2018. The student must be entering the first year of an undergraduate programme based at Birmingham’s UK campus. Be classed as Nigerian national or domiciled/ resident. Start their studies at the University in September 2018 (the scholarship award may not be deferred). Be registered with, and have their undergraduate study application attached to, one of the University's local representatives listed here in alphabetical order: Bridge House Counselling, SI-UK (‘Study In-UK’), and UKEAS. Accept an offer from the University of Birmingham and select Birmingham as their firm choice by the scholarship application deadline and be in contact with one of the University's local representatives listed above by this scholarship deadline of 31 May 2018. Selection for the award will be based on academic merit. The scholarship awards are for £5,000 towards tuition fees (for the first year only) of a full time undergraduate degree programme at the University starting September 2018. To apply for the scholarship students will need to have accepted an offer from Birmingham, have selected Birmingham as their firm choice, and be in contact with one of the University of Birmingham's local representatives listed above by the scholarship deadline as announced below. Selection for the award will be based on academic merit. No interview will be required. Decisions will be announced in mid-July and the scholarships will be awarded upon the students’ enrolment in September 2018. The University of Birmingham (informally called Birmingham University) is a public research university located in Edgbaston, Birmingham, United Kingdom. It received its royal charter in 1900 as a successor to Queen's College, Birmingham (founded in 1828 as the Birmingham School of Medicine and Surgery) and Mason Science College (established in 1875 by Sir Josiah Mason), making it the first English civic or 'red brick' university to receive its own royal charter. The university was ranked 15th in the UK and 76th in the world in the QS World University Rankings for 2015-16.